What Does Don Rickles’ Passing Mean for ‘Toy Story 4’? Back in May, the Disney Parks Blog announced that six new Enchanted Windows would be added to Main Street, USA at Disneyland, as part of the park’s 60th Anniversary Diamond Celebration. Elaborate, moving displays, showcasing popular animated films in the windows of the Emporium, have been a long-standing tradition, and the latest additions were set to include Peter Pan, Cinderella, The Princess and the Frog, Frozen, Aladdin, and Toy Story. 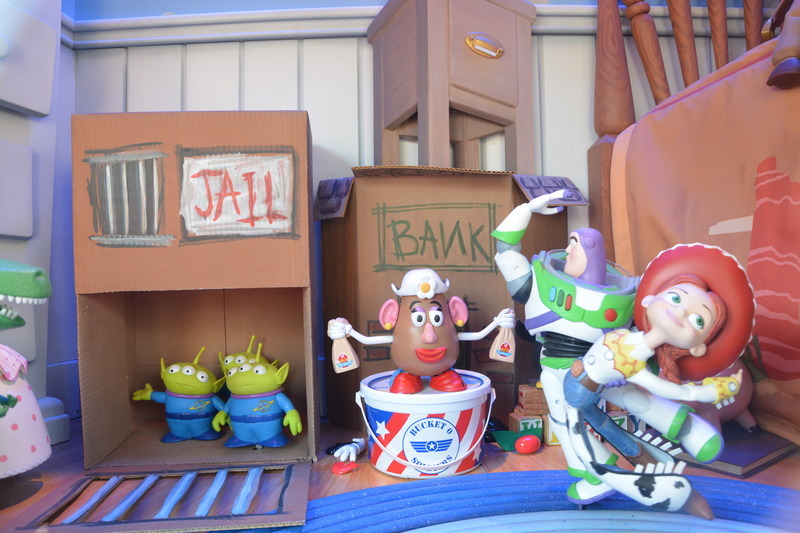 Several of the windows have been in place for a while, but just yesterday, the new Toy Story window was unveiled! Although I haven’t seen it in person, I was able to find a fantastic video of it, as well as a few photos. I felt the need to write this post for myself as much as for the other Toy Story fans out there. There have been so many unfounded rumors going around lately about Toy Story 4, that I often end up searching through past articles and interviews for a reminder of what we truly know about the movie to date. I thought it would be helpful to have all the relevant quotes – from reputable, official sources – saved in one spot for future reference. 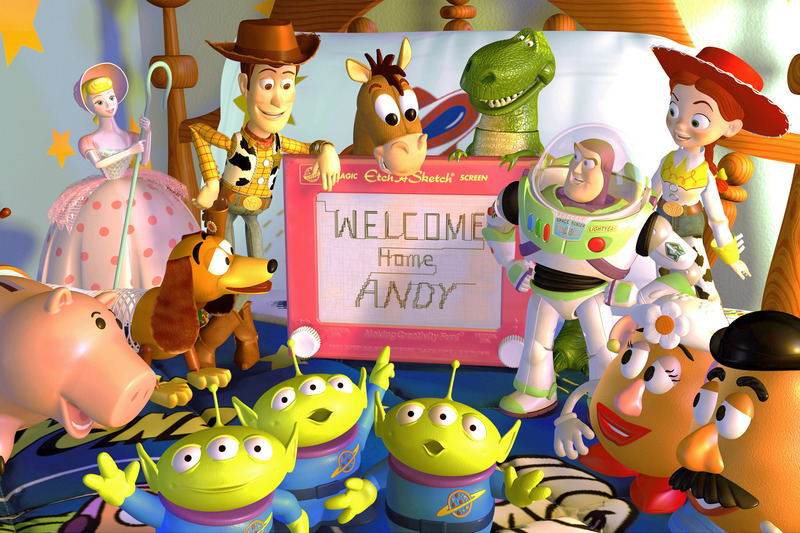 So, grab a cup of coffee (or whatever your choice may be), get comfy, and travel back with me through the past ten months to review what the Toy Story 4 cast and crew have given us – there’s more than you might think! Although Toy Story 4 news has been scarce since D23, it won’t be long before we’ll be seeing lots of new promotional material – commercials, merchandise, posters, stock images, and social media/website content, just to name a part of what we have to look forward to. In fact, the promo stuff is one of the things I remember most fondly from Toy Story 3 days. It was exciting to randomly catch the toys in commercials, not only for their movie but for other things as well (a Target commercial comes to mind, and one for the U.S. Postal Service), or to walk into a store and find Toy Story-themed items in practically every aisle. I’m still hoarding Band-Aids, shampoo bottles, and macaroni and cheese (I’ll never eat it!) that are no longer available. By this time next year, we should be starting to receive a steady supply of ads and info, but until then, we have to make do with the few-and-far-between details we’ve been getting since last November.